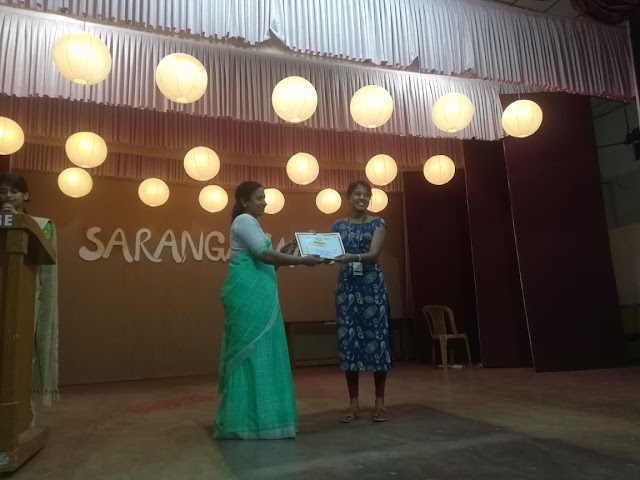 Shikha P Aji of 2nd year BSW, School of Social work has secured 1st prize for PowerPoint presentation on the topic “Refugee crisis” at “Sarangaswara”, fest of Sociology Department, BCM College, Kottayam on 15th December 2018. The presentation was guided by Dr. Boban Joseph, School of Social work. A cash prize of Rs 4000 along with a certificate was awarded.